The president is getting a lot right. But he cannot afford to muddle his message tonight. A focus on income inequality? Check. A call for a big increase in the minimum wage? Check. An affirmative act to show his seriousness—in the form of an executive order to substantially increase the wages of federal contract workers? Check. New strategies for job creation in low-income communities? Check. All the pieces were coming into place Tuesday for President Obama's fifth State of the Union address. After a tough 2013 in Congress behind him, and with a tough 2014 campaign season ahead of him, all indications—some formally released, some leaked—were that the president was ready to rally progressives for a fight on the economic issues that matter most. And to push back against congressional conservatives on issues ranging from implementation of the Affordable Care Act to the extension of unemployment benefits for the long-term unemployed. As the clock ticked toward the start of the annual agenda-setting address, it appeared that the president was ready to renew, and perhaps even expand, the coalition of conscience that elected him in 2008 and reelected him in 2012. Except for the trade thing. President Obama wants to sign a Trans-Pacific Partnership trade deal with 11 countries in Latin America and Asia. And a lot of multinational corporations are delighted that the deal is shaping up as what Public Citizen Global Trade Watch director Lori Wallach refers to as "NAFTA on steroids." To secure the deal, Obama and his allies want "Fast Track" authority to negotiate the final details of the agreement without significant congressional oversight or the prospect of amendments to protect workers, communities and the environment in the US and the countries with which it trades. If Obama makes a push for "Fast Track" and the TPP in his State of the Union speech, he will undermine his message about rebuilding a US economy that has been devastated by the North American Free Trade Agreement, most favored nation trading status for China and other trade deals he criticized as a candidate. He will make it harder to build coalitions with traditional allies in the labor, environmental and progressive farming communities. And he will complicate the campaign for control of Congress. As Wallach explains: "This gets to the major policy collision that only adds the incongruity of the political situation: the TPP would worsen income inequality. Yup, the main theme of Obama’s SOTU has been widely advertised to be his battle against growing American income inequality. But economists of all stripes agree that US trade policy has been a major contributor to growing inequality." Thus, while all indications on Tuesday are that Obama wants to give a progressive address about income inequality and the necessary response to it, there are still real concerns about whether this speech will be the one that is needed. So much so that, on the eve of the address, 550 groups that represent much of the progressive base—precisely the labor, environmental, economic justice and community groups the president will need to refocus the national debate in this critical mid-term election year—signed a letter urging members of Congress to oppose the granting of "Fast Track" authority. After decades of devastating job loss, attacks on environmental and health laws and floods of unsafe imported food under our past trade agreements, America must chart a new course on trade policy. To accomplish this, a new form of trade authority is needed that ensures that Congress and the public play a much more meaningful role in determining the contents of US trade agreements. Critically, such a new procedure must ensure that Congress is satisfied with a trade agreement’s contents before a pact can be signed and subjected to any expedited procedures. 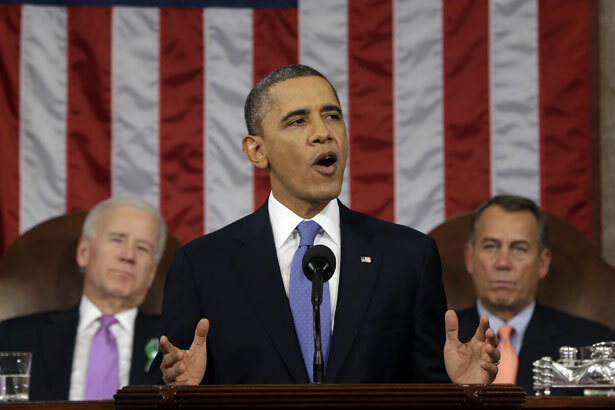 Listen tonight to what President Obama says about income inequality. His words will be of vital importance. But listen, also, to what he says about trade policy. His words will tell us a great deal about whether the coalition that he must build will be pulling in the same direction through the rest of 2014. Presidents cannot always satisfy their supporters. There are times when they can and must part company with portions of their political base. But, on this issue, the base has a point. If President Obama delivers a State of the Union address that muddles the message by promoting failed and unpopular free-trade policies, he will do himself, and the cause of addressing income inequality that he has wisely made his focus, no favors.